As regional public discontent over environmentally destructive plastic straws and single-use plastic bags increases, Vietnam is finding itself facing a multitude of environmental challenges. At the same time energy demand is forecast to grow by 10 per cent by 2020. While plastic bags and drinking straws won’t cure Vietnam’s increasing need for electricity, foreign and local experts say Vietnam has significant potential for producing energy from solid waste. According to Vietnam’s Ministry of Natural Resources and Environment (MNRE) Vietnam produced over 44 million tons of solid waste in 2015. By 2020 it is forecast this will increase to 68 billion tons, and 91 billion tons by 2025. However, despite the ready amount of fuel the exploitation of solid waste in Vietnam for waste-to-energy production has been ineffective. Some 85 per cent of waste is buried without treatment in landfill sites, 80 per cent of which affects sanitation and pollutes the environment. Among the fledgling waste-to-energy industry power plants in Vietnam is the Nam Son, Hanoi facility with a capacity of 1,930 Kilowatt (KW), and the Go Cat waste handling project in Ho Chi Minh City with a capacity of 2.4 MegaWatt (MW). In Soc Son, Hanoi a $29.2 billion Vietnam- Japan government-to-government project is producing 1.93 MW of electricity. That might be set to change. The city of Danang recently announced plans to build its first waste-to-energy project at the Khanh Son dump. 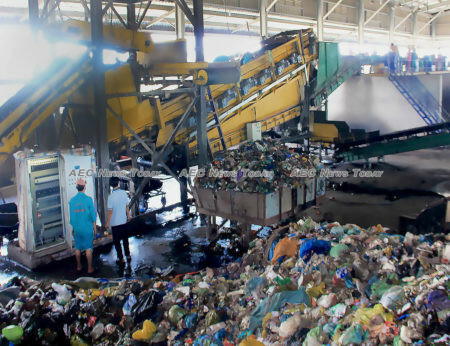 The VND2.3 trillion (about US$101.7 mln) project will utilise the first phase of an already established garbage recycling plant to process some 1,000 tons of trash daily into electricity commencing in 2022. 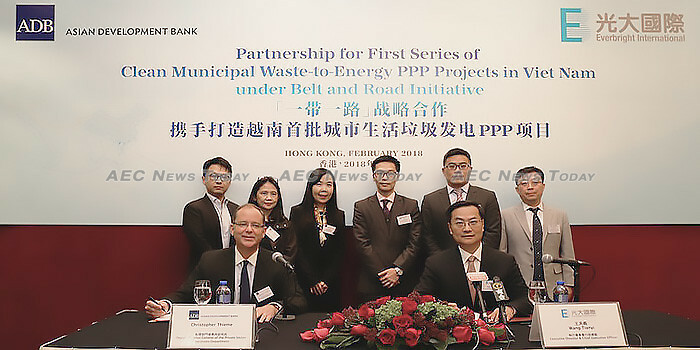 The waste-to-energy power project comes after Danang city and the Asia Development Bank (ADB) signed an agreement last year to develop a new landfill and waste treatment facility using a public-private partnership (PPP) model. The project will see the private sector design, build, finance, operate, and maintain the waste disposal and treatment facilities. Other foreign investors are now starting to take notice of the potential Vietnam’s waste-to-energy industry has for development. An example of this is Naanovo Energy, Inc., (Canada), whose $101,6 billion Thanh Hoa waste-to-energy project will have an estimated capacity of 127.8 billion kiloWatt hour (kWh) per year . None-the-less, compared to forecasts, investment in the waste-to-energy sector has failed to fulfill its potential. Key factors include the cost: Most waste-to-energy projects require significant investment and a return on investment might take between 10-20 years. In addition, the government is unlikely to provide guarantees for debt finance. The lack of ‘bankability’ due to loan financing, escalation and indexation clauses of the feed-in tariff in the Power Purchase Agreement (PPA) with Vietnam Electricity (EVN) under the standard PPA are also major challenges for waste-to-energy investors. EVN holds a monopoly over distribution, repair, maintenance, inspection, and examination of the grid. 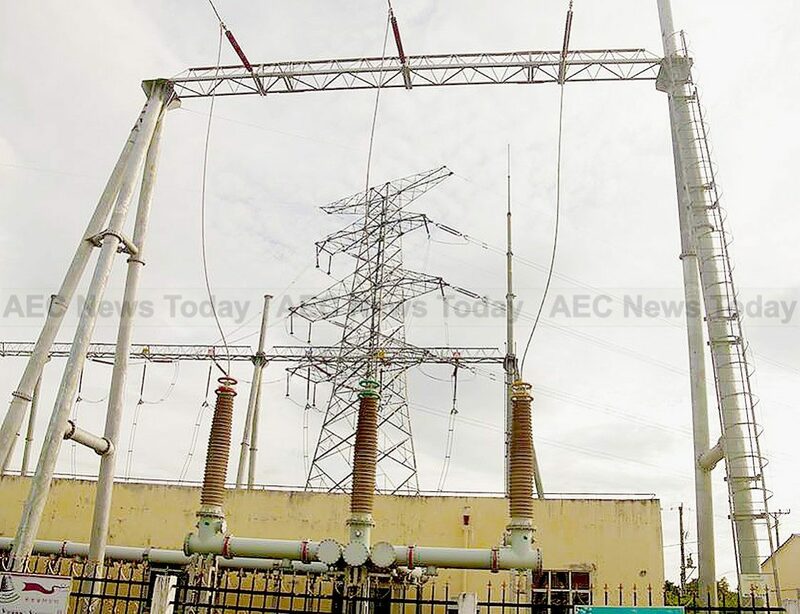 The lack of a government guarantee for EVN’s payment obligations in the event energy is provided from the producer, but cannot be transmitted due to the interruption of EVN’s grid connection is a concern. Also, in instances of force majeure or termination of contracts, EVN can refuse to transmit energy in cases of maintenance or repair. 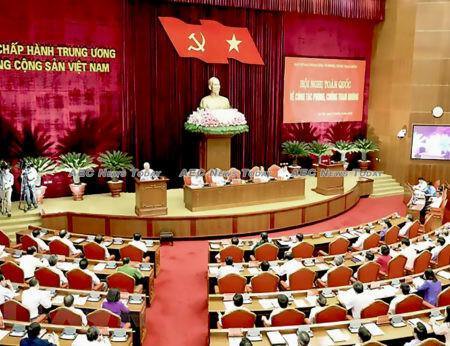 Further, the model PPA under Circular 32/2014/TT-BCT dated October 09, 2014, which is governed by Vietnamese law, does not expressly provide for international arbitration as a means for dispute resolution — a condition typically considered important. Disputes need to be submitted to the Department of Electricity and Renewable Energy (DERE), the Electricity Regulatory Authority of Vietnam (ERAV) or to a competent Vietnamese court. At the same time the PPA does implicitly allow for the involvement of domestic and international arbitration (“another dispute resolution body to be agreed by the parties”). However, it is unclear whether it can be agreed beforehand with EVN to amend the PPA to allow for international arbitration, or if this would merely be a discussion point if a dispute arose. In the latter instance, EVN clearly has the upper hand. Additionally, EVN’s purchase price of electricity from waste-to-energy projects is still low. In an attempt to stimulate the waste-to-energy industry the government has issued new regulations and formulated a legal regime to facilitate and promote the sector’s development, Decision No. 31/2014/QD-TTg. Meanwhile the Ministry of Industry Trade (MOIT) has promulgated Circular 32/2015/TT-BCT (Circular 32) to stipulate the development of grid-connected electricity generation projects using solid waste and the standardised PPA. 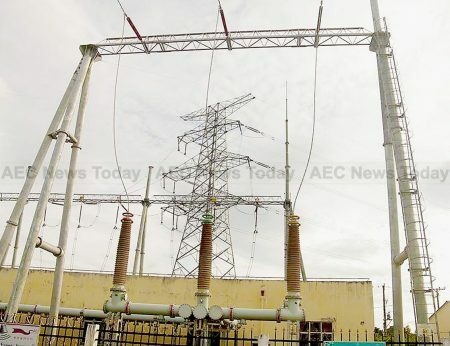 These regulations set the buying price of electricity by EVN from waste-to-energy projects at the electricity delivery point, excluding value-added tax (VAT), at VND 2,114 /kWh (US$0.09) for burning of solid waste. For power generated by combustion of gas collected from solid waste landfills the rate is VND1,532 ($0.07)/kWh. Besides a supporting regime for the purchase price, electricity generation projects from waste-to-energy projects also receive preferential policies on finance, land use, and taxes, including, import tax , and corporate income tax. Despite the attractive policies in place, waste-to-energy projects have encountered difficulties including lengthy delays in investment procedures, land use, and site clearance approvals. If the Vietnamese government is to maximise on its Green Growth National Action Plan (GGNAP) competent authorities need to streamline decision-making in order to encourage investment in the renewable energy sector. 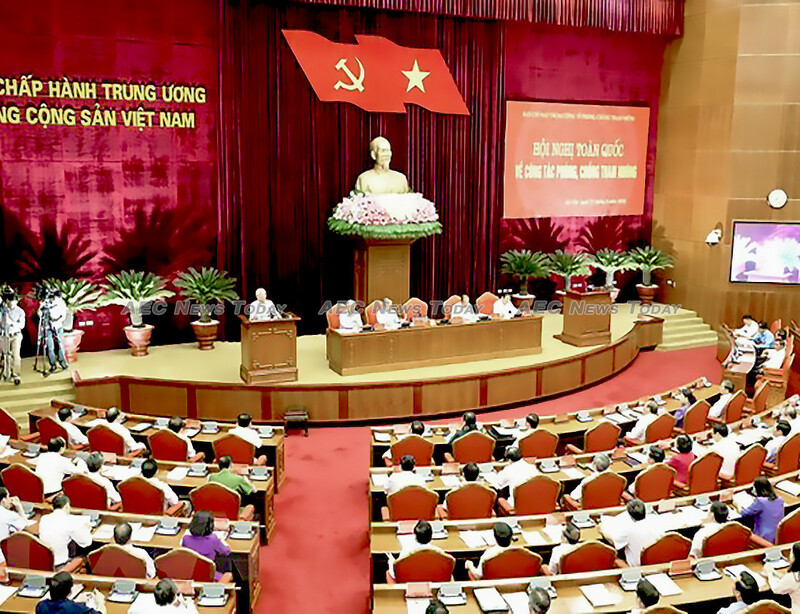 Detailed regulations for investors enabling an easier loans process through the Vietnam Development Bank (VDB) and other financial institutions need to be put in place, along with resource mobilisation, institutional and policy improvement, capacity strengthening, and the application of new technology. It is only through such efforts that Vietnam can clearly demonstrate its environmental contributions and actions towards the Paris Agreement, which Vietnam joined at the Conference of Parties 21 (COP21) and the 2030 Agenda for Sustainable Development. Kent Wong is a Partner at VCI Legal and Head of Banking & Capital Markets. He is also the vice chair of the EuroCham Vietnam Legal Sector Committee.